In case of any database failure, we need to prepare for the worst scenario, and prevent it as much as possible. 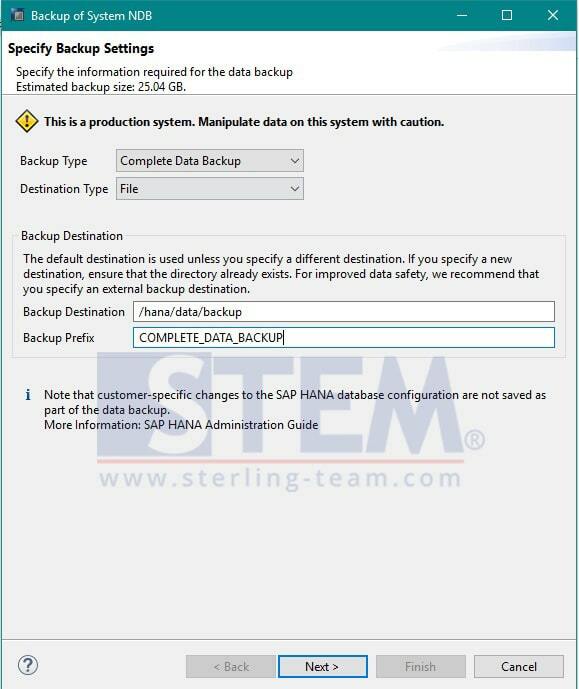 This type of backup was specifically created for 1 schema only, if you have more than one schema, you can choose, which database that you want to backup. Final size of this type of backup was smaller than another type of backup. 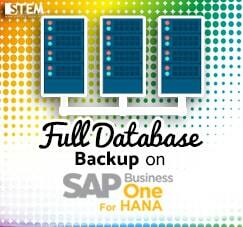 This type of backup created for the whole company entity databases. If you have more than one databases, it will automatically created one file backup for all of the schema, you can’t choose only one of them that need to backup. Of course, it will make the final size bigger than backup schema only. 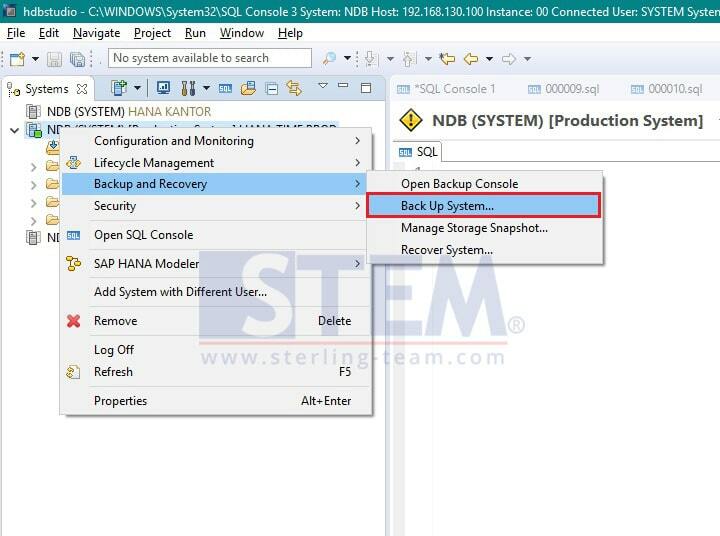 Next, on NDB (SYSTEM), right click, and choose Backup and Recovery option, then choose Backup System. You’ll get a pop up windows, please fill the path directory for backup and please make sure your path directory is already listed on Linux Server. Click NEXT, and FINISH for start to backup process. Please wait until the backup process finish, then, your backup file can be taken with WinScp program from your Windows Environment. And your full environment backup was completed save successfully.